As the globe continues to shrink, meeting the needs of customers from a wide range of cultures has become a critically important aspect of successful organizations. Doug’s consulting, training, and speaking services are designed to help multinational corporations examine their management styles and business strategies, then determine the effectiveness of each across a variety of cultures. The ultimate goal is to help these corporations implement management styles and strategies that are appropriate to the culture in which they operate to compete more effectively in the global marketplace. Doug coaches numerous Fortune 500 companies in adapting their approach to dealing with a changing market and an international audience. Doug’s international experience began at age 16 when he began studying Japanese. He developed a passion for the study of other cultures and after earning a graduate degree and becoming fluent in Japanese, Doug joined Disney. 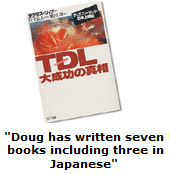 Fast-tracked into management, Doug helped launch the company’s first international theme park, Tokyo Disneyland, a rousing success and the subject of Doug’s first book. After Disney, Doug co-developed an international consulting firm with a professor from Stanford University with whom he co-authored his second book. Consulting with Fortune 500 companies such as Procter & Gamble and Intel, Doug helped these multinational corporations succeed in the global marketplace by breaking down cultural barriers. 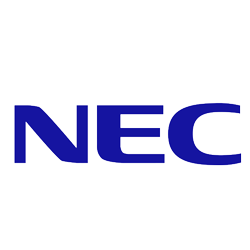 After years of consulting Doug joined NEC Electronics in his hometown of Sacramento. As Chair of Sacramento’s Pacific Rim Committee, Doug lead several trade missions to Japan, successfully recruiting many multinational companies to the region. Having lived and worked in the United States and Japan and consulting with many international corporations, Doug has unique knowledge and skills to evaluate and solve cultural challenges and conflicts. In addition to his intercultural training and consulting, Doug is a keynote speaker on leadership and service excellence, change management, and diversity, speaking in countries around the world including Mexico, Canada, South Africa, and many countries in Europe, South America, and Central America. Intercultural training is necessary at all levels, but it only works when supported by a company’s leadership team. Doug helps his audience understand how to avoid culture clashes and costly business mistakes. These programs are designed for organizations that want the depth and breadth of customized training. For maximum interaction, smaller audiences of 15-20 employees is ideal. 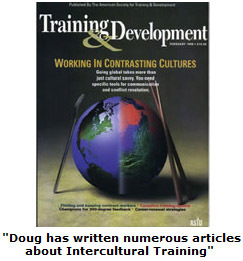 Doug provides hands-on activities and facilitates working groups to examine effective goal setting, management style analysis, and problem solving in a multicultural environment. Doug conducts an in-depth needs assessment with each client to tailor classes to meet the each organization’s individual needs. 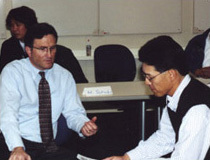 A training intervention designed to help Americans better interact with their Japanese counterparts. The class accomplishes this objective by introducing participants to the impact of culture on Japanese and American business practices and giving participants the opportunity to learn and practice newly learned skills. The course may include role-playing and case studies to emphasize learning points. The course includes an extensive training manual and Doug’s book Danger & Opportunity. A training intervention designed to help Japanese better understand the Americans they work with or manage. Specific emphasis is placed upon the role of the Japanese manager in managing and motivating American employees. The course includes extensive training on intercultural communication skills to help Japanese employees improve their ability to communicate in English. The focus is on interaction skills versus linguistic skills. This presentation is typically taught in Japanese, either by Doug or his Japanese associate. Some role-playing and practice sessions are conducted in English to reinforce key communication skills. More often than not, teams of employees are made up of people from a variety of countries.. Corporate mission statements often state that teams of employees from different countries and cultures “will benefit from the best parts of each culture and develop international synergy.” Unfortunately, most international teams ultimately disintegrate into small groups of employees from similar backgrounds, excluding other members of the team. In order to build a strong team, some portion of the approach needs to purposely highlight both positive and negative perceptions people from different backgrounds have about each other. The objective is to expose the issues and help employees work them out in mutually acceptable ways. The best way to manage is the method that gets the best results, and the best results usually come from an approach that brings out the strengths of each culture. The exercise of one’s full potential usually produces the best results at the interpersonal and organizational levels. This seminar provides a unique opportunity for managers and employees from a variety of cultures to discover vital information about how to be successful in their own multi-cultural, corporate environments. The Team Building in a Multicultural Environment (TIME) program is only conducted after a thorough client needs assessment. Doug gathers data during interviews at the client site or through phone interviews. The TIME program strives to accurately represent the challenges and opportunities in conducting business in a global environment. Therefore, it is conducted by a bicultural team consisting of Doug and his Japanese associate, both with extensive international business experience. This program may be taught in both English and Japanese. Doug Lipp and his staff at G. Douglas Lipp & Associates provide individual consulting and coaching services to executives. While the services vary according to the needs of our clients, our philosophy remains the same: Be honest and forthright with each client, whether in a group or individually. Some of our clients secure our services to coach the challenging individual or group, and provide the necessary critical feedback, while others want us to merely refine the approach of effective individuals and teams. Consulting is provided at an hourly or daily fee and may be conducted in person or via phone appointments. The main objectives of this training program is to provide a basic understanding of the cultural differences between Americans and Japanese and the consequences of those differences with regard to business and personal interactions. Class participants learn strategies and practice skills that enhance their ability to overcome potential cultural barriers and develop mutually beneficial relationships with their Japanese counterparts. Learning modules are customized to include issues and goals that are unique to each client. The following is an introduction of the topics covered during the program. Culture’s Consequences – The impact of culture on how we behave. How Americans and Japanese react to each other. Ritualistic Behavior in Japanese Society – Predictable patterns of behavior among Japanese and how Americans can benefit from knowing and practicing these. Managing Relationships – Key attitudes and skills when working with Japanese. Religious Influences – The impact of religion on Japanese society and business. Communication Skills – Techniques for communicating more effectively, in English, with the Japanese. Business Styles on the Job – An analysis of the Japanese approach to motivation, goal setting, relationship development and decision-making. Problem Resolution –Analysis of critical incidents. Case studies outlining three different incidents from the client company are analyzed in small group breakout sessions. Each scenario is examined using Doug’s 5-Step Cross-cultural Conflict Resolution Model. Japanese Language – An overview of pronunciation and key salutations. 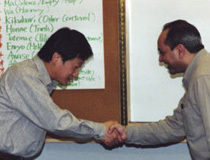 The main objectives of this training intervention is to provide a basic understanding of the cultural differences between Americans and Japanese and the consequences of those differences with regard to business and personal interactions. Participants learn strategies and practice skills that enhance their ability to overcome potential cultural barriers and develop mutually beneficial relationships with their American counterparts and subordinates. Learning modules are customized to include issues and goals that are unique to each client. The following is an introduction of the topics covered during the program. Ritualistic Behavior in Japanese and American Society – Predictable patterns of behavior among Japanese and Americans and how Japanese can benefit from knowing these. Business Styles on the Job – An analysis of the Japanese approach to motivation, goal setting, relationship development and decision-making and how Americans react to these. 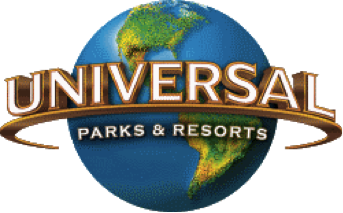 Problem Resolution: Analysis of Critical Incidents – Case studies that outline three different incidents from the client company are analyzed, in small group breakout sessions. Each scenario is analyzed using Doug’s 5-Step Cross-cultural Conflict Resolution Model. Religious Influences – The impact of religion on Japanese society and how it affects their business approaches with each other and Americans. Communication Skills: Phase I – Language skills plus the ability to interact effectively with Americans equals success. An overview of one of the most challenging communication skill sets for Japanese: Effective one-to-one interaction with the local staff. Communication Skills: Phase II – Participants receive one-to-one feedback and learn what motivates of Americans. Techniques for communicating more effectively, in English, with American counterparts and subordinates. Role-play scenarios are videotaped and analyzed in class. The Interview Process: What Can You Say? – Through video presentations and group discussion, an analysis of some of the most problematic issues Japanese face when conducting interviews in the U.S. Sexual Harassment: What Is It? – Through video presentations and group discussion, an overview of laws and workplace situations often overlooked by U.S.-based Japanese companies. The main objectives of this training intervention are to provide managers and employees with a better understand of the key approaches for providing outstanding customer service in an international environment. The international environment can be identified as both external customers and internal team members who come from diverse cultural backgrounds Learning modules are customized to include issues and goals that are unique to each client. The following is an introduction of the topics covered during the program. The Cultural Iceberg – What you cannot see below the surface. From Local Service to Global Service – – Success stories from companies who’ve been there. The Pain of Neglect, The Joy of Attention– – Customer service basics, including expectations and attitude. How to Deal With the Angry Customer – Phrases and gestures to avoid. What may offend other cultures. Active Listening With R.A.P.S – Conflict Resolution across cultural barriers. Even Monkeys Fall From Trees – Recovering from inevitable mistakes. The Balancing Act of Leadership and Service – Lessons from Disney. A Company Without a Vision is Like a Ship Without a Rudder – Clarifying your vision: is it really a goal? Excuse Me, What Did You Say? – Communicating With People from Other Cultures. How Effective Is Your Style With Your International Customers? Taking It Home: What Do We Do Now? 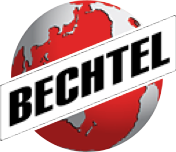 Doug has begun to prove the way for those of us in Bechtel who want to form successful relationships with our Japanese counterparts. Doug was an excellent teacher, with an obvious high level of competence that set a standard for uss all to aspire to." The cultural awareness session you conduct for our ex-pats helped assimilate these employees into the Japanese culture in a very non-threating manner. You were magic when it came to driving home the cultural difference bought everyone together. Thank you for making such a positive impact and support to this group." Doug offers a service that greatly enhances the "people" aspect of business. Doug successfully partnered with us to help our employees better understand cultural differences that effect our day to day relationships. Our employees have have greatly benefited"
We have had over 400 employees participate in your BRWJ since it was first offered four years ago. These employees ranhe from our productions operators to our executives. This has been one of the most popular programs we have ever offered because of one thing... it works!"